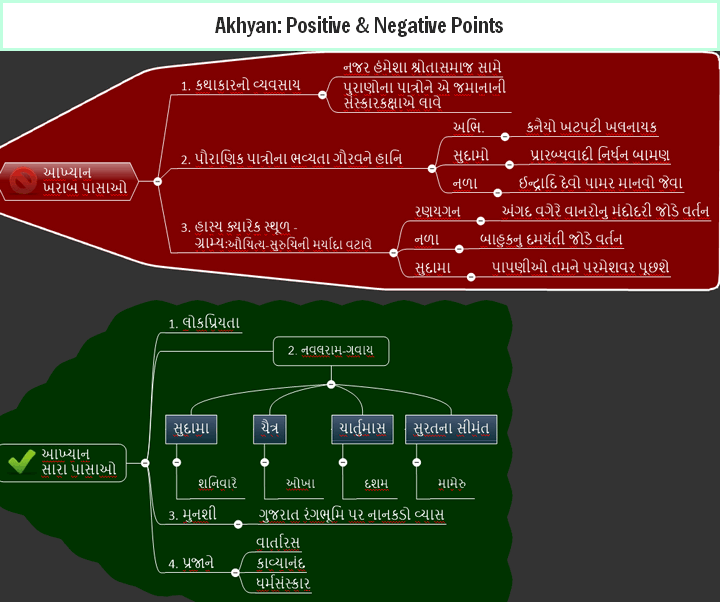 Here are my own notes / mindmaps on Gujarati literature optional subject, that I had made years ago but lost in backup DVDs, but now found it. 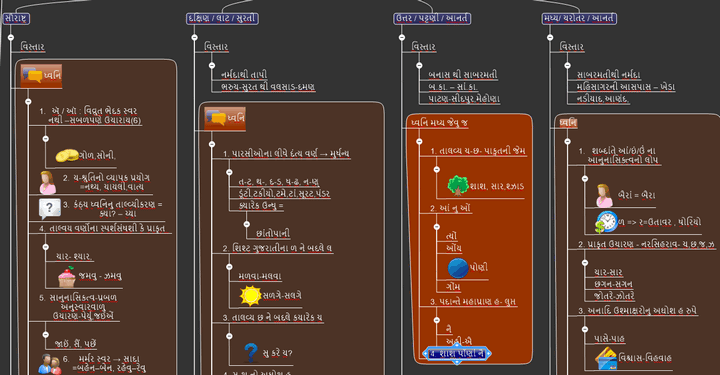 These notes are in .mmap (Mindjet Mindmanager) format and in Gujarati fonts. You need to install specific softwares before opening them, so read the instructions given at bottom of this page, carefully. For paper-1, most of the topics were covered. For paper-2 only a few texts could be covered. એમકે પછી પ્રારંભે શુરા ગુજરાતી જેવું થયું હતું. They contain syllabus as well as questions asked in each syllabus topic till 2008. 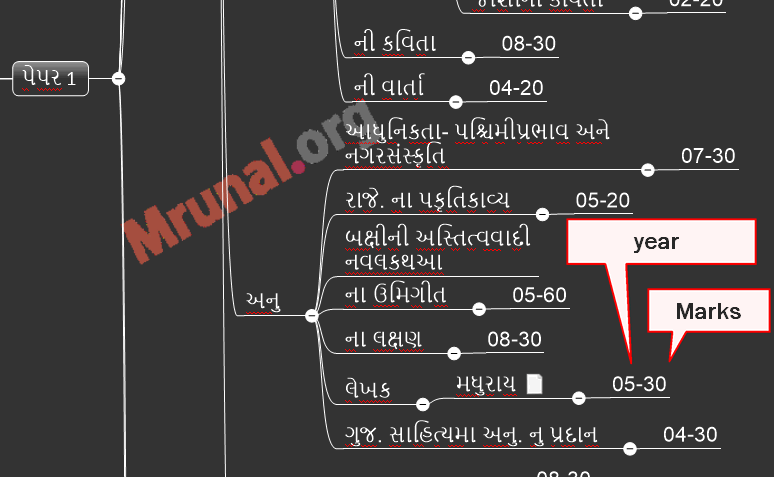 પ્રિલીમ માં ફેલ થયા હો તો “નવ કરશો કોઈ શોક રસિકડા…નવ કરશો કોઈ શોક” – એવું નર્મદ કહીને ગયો છે. 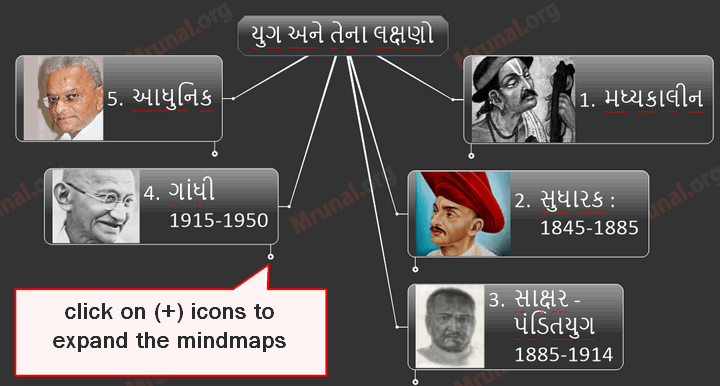 These mindmaps are created using Mindjet Mindmanager. How to get the Admit Card no if I lost it, to know my prelims result which conducted on Aug 27&28th 2015? Check your question paper whether you wrote your roll number on it on exam day or not. Sir, Please Upload Video lectures of Ethics. Can you Please upload lectures Of History. Facing a great difficulty in Ancient, Medieval, Modern History. Please Come for Our Rescue. PLZ sir,we are missing ur high valued article for GS, esp; CURRENT AFFAIRS,do post those articles as before……. 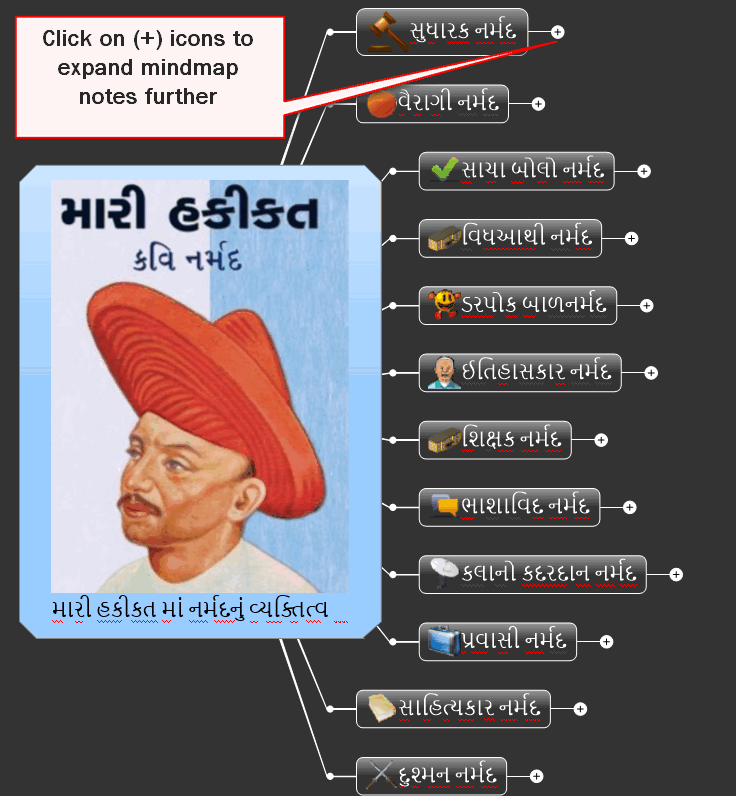 This is best online available material for Gujarati Lit. I have made a typo in filling DAF, jumbled 2 letters in writing my previous employer’s name. I know this is immense fallout on my part and somehow I even missed it in proof reading. Please let me know if this can have serious repercussion during interview. This has made me restless please reply with what you think on this. Sir Thank You Verymuch You make it very interesting..
Hello sir I am sagar ranpura i will give my first attempt this 2016. 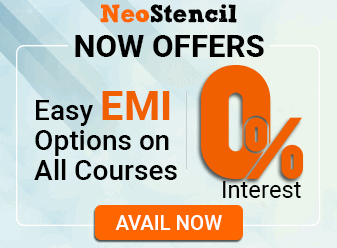 I am a Gujarati medium student and completed my education as well as my graduation(B.COM) medium.but I decided to choose English medium in upsc examination. and I also decided to choose Gujarati literature as a optional subject so if I giving this exam I can choose Gujarati literature as a optional? I want attempts in 2018 .so, is there possible? 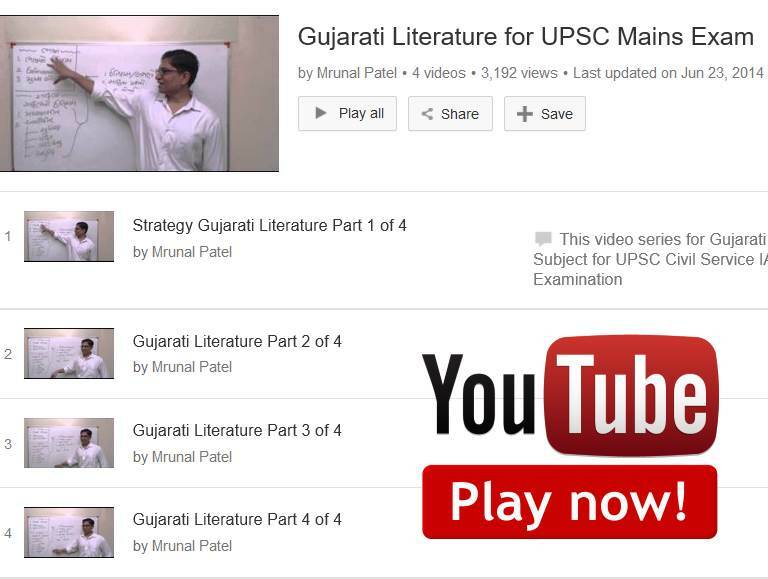 from where can I got books of GUJARATI LITERATURE optional subject upsc? FROM WHERE CAN I GOT THE BOOKS OF HUJARATI LITERATURE FOR UPSC OPTIONAL SUBJECT IN HARD COPY? I want comprehensive list of books and other material to study and prepare for Gujarati LIterature as its my Optional in mains. and please also suggest how to prepare Guj. Lit Optional to get min. 250 marks out of 500 marks.